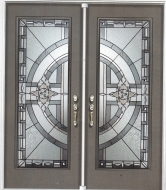 Choose from hundreds of stock door-lites or design your own one of a kind. Our artists can help you create a lasting impression to last for years to come. We offer custom hand-crafted door-lites or choose from our standard designs, either way your door system will thank you. Universal glass tech is a family owned company that's been established since 1993, in those last 18 years we have produced over 500,000 decorative glass units, all sizes, shapes and designs. We are very proud of the fine work and commissioned orders that we have made, from churches and synagogues and institutions, along with high end residential and commercial clients. Since 1993 our goal has been to provide the best possible selection of decorative glass that one may chose, from our standard stock items to our custom sidelites and transoms at the best possible pricing. 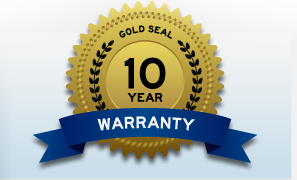 We pride ourselves on quality and service at universal glass tech and with the help of our dedicated and knowledgeable staff we feel that we can produce anything that you can dream up. Our longevity and expertise make us one of the leaders in the decorative glass field, and we will continue to encourage and support creative expressions in glass in the months and years to follow. If there are any products in the stained glass field that we can not produce, we will do our best to source them out and bring them to you at wholesale pricing, we are well known in the industry and have incredible relationships with many of the other companies in the glass market, if we don't manufacture what you are looking for, then we will still be able to bring that product in and offer it at a great price. We appreciate the great support that we have had over the last 18 years and look forward to serving the industry for many more years to come. Website design by Razorwire Media Inc. I © copyright 2011 Universal Glass Tech Inc.